My original intention was actually to make a long-sleeved top. But as we all know, things don’t always turn out as planned! After tracing the front and back pieces for the torso, I felt like there was still a lot of fabric left, so I went ahead and merrily traced out the first long sleeve. It was only after I already cut out the first sleeve, that I realized, oh NO! I don’t have enough fabric to make the second long sleeve! Imagine the ridiculousness of one arm having a long sleeve and the other arm having no sleeve (what a fashion statement that will be haha). In the end, there was just enough fabric to make the second sleeve a short sleeve, so the first long sleeve got cut into a short sleeve too. These sorts of things definitely help to keep me humble in my sewing endeavors- thank God for that! 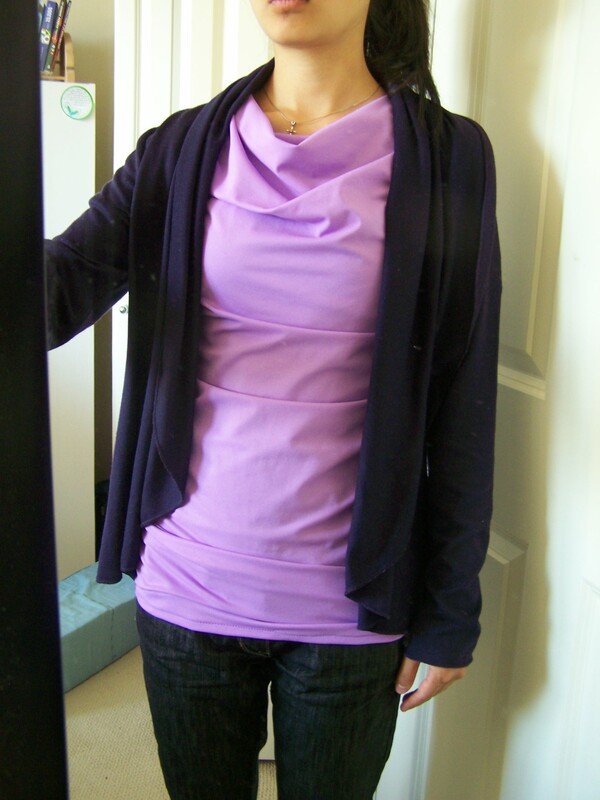 I examined a couple of cowl neck tops I already had, and tried to figure out an easy way to make the pattern. The cowl neck is produced by tracing the pattern from a regular top, and modifying the front piece. 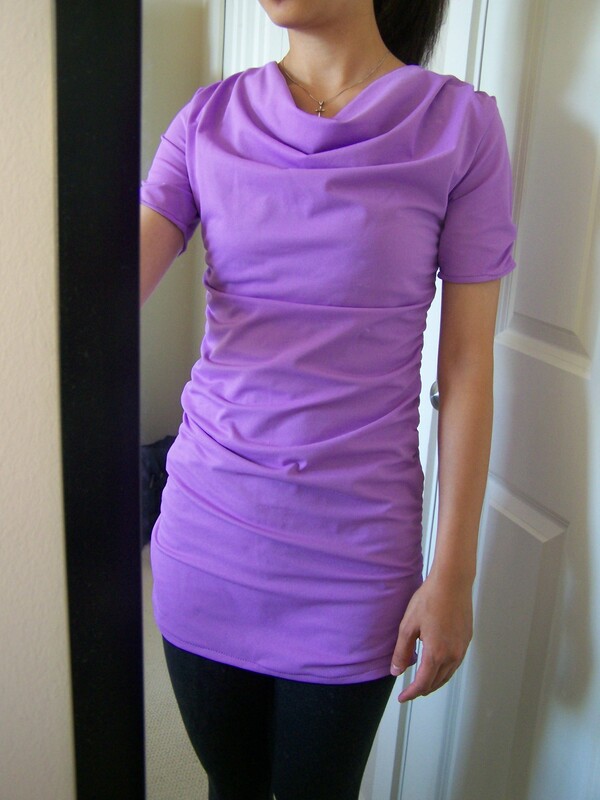 Use a snugly fitting long-sleeve V-neck tee as the template. For the front piece of the cowl necked top, first trace armhole and shoulder of the front piece onto a piece of paper, and cut out. Trace the side and bottom edges of the tee onto the fabric (lengthen the torso part if you want to make the top semi-long; also make the torso longer than desired length if you want to add ruching to the side seams. Ruching shortens the top.). 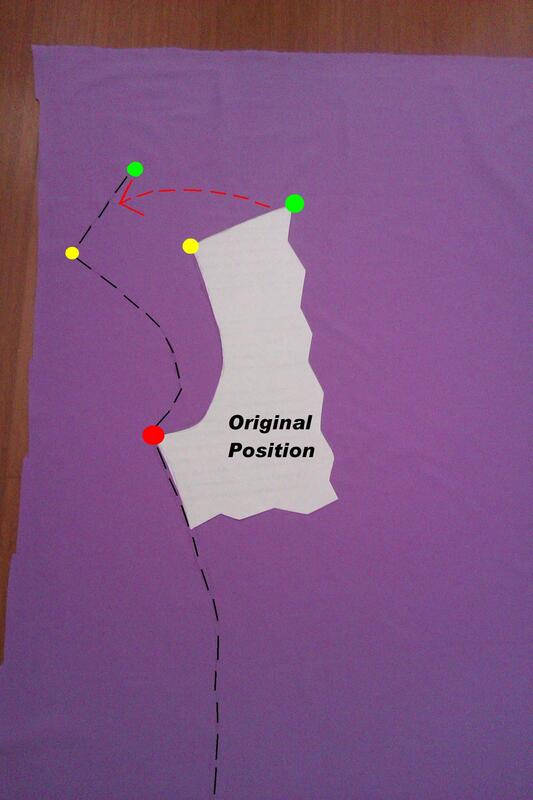 Place the paper cutout where it would normally be on the tee, and using the armpit point as the vertex, rotate the paper cutout outward toward the sleeve (counterclockwise for the left side, clockwise for the right side). The more you rotate, the lower the cowl neck would hang, I rotated it by about 30 degrees. 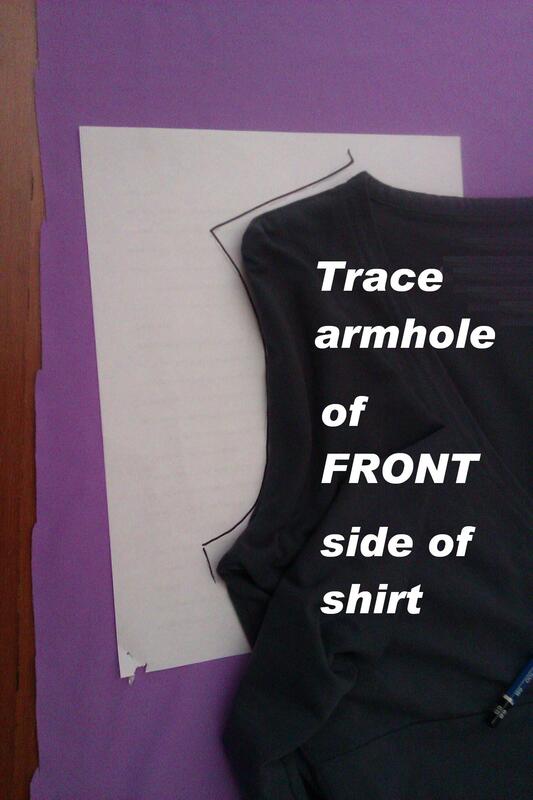 Trace the new armhole and shoulder positions onto the fabric. 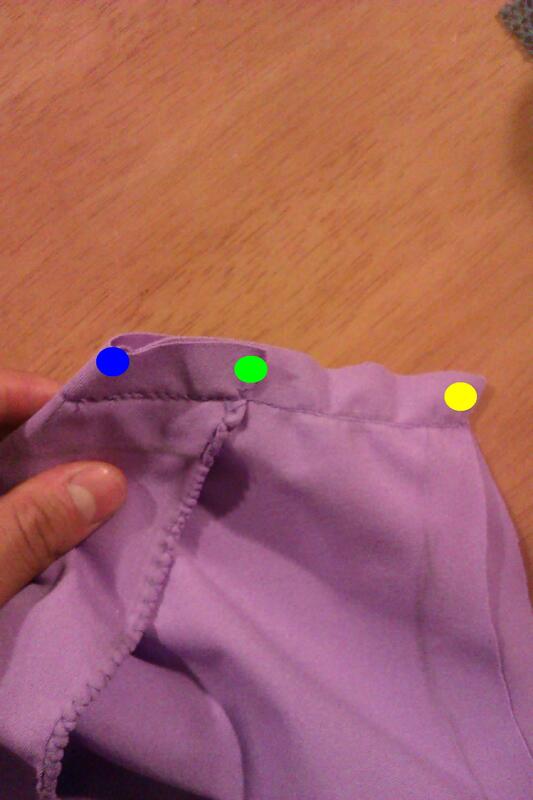 Then, extend the shoulder line by 3 cm (green dot to blue dot), as the fabric will be gathered slightly at the shoulders for the front piece. Repeat step 3 for the other armhole/shoulder. Then, draw a straight line (neck line) to connect the shoulder endpoints (blue dot to blue dot). Then, Using the neckline as the line of symmetry, draw the mirror image of the green dot, and connect the second green dot to the blue dot. Use a free-handed arc to connect the uppermost green dots. The cowl neck does not have a top stitched neckline, but has a hidden flap hanging inside the shirt to create the neckline; so the extra section at the top (with the arc) is that hidden flap. 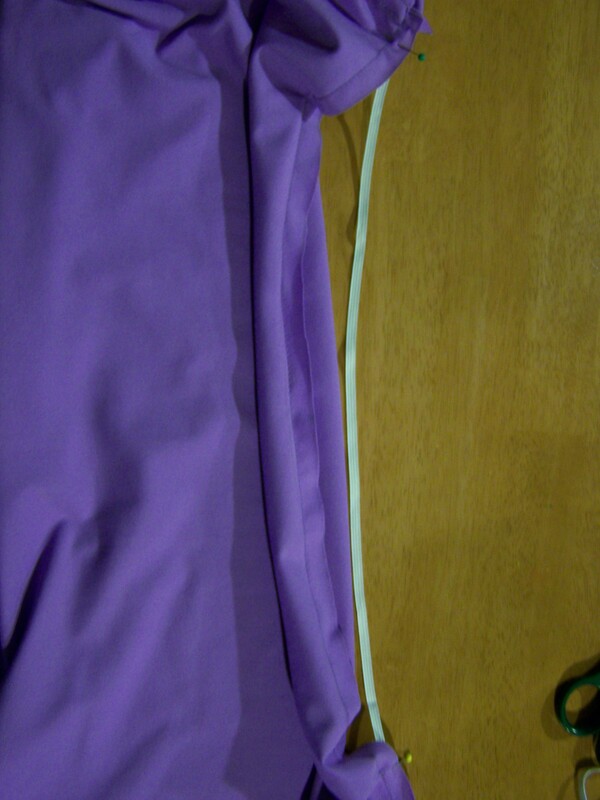 Trace the back piece of the torso onto the fabric, and extend the length of the bottom if you like. Cut out with seam allowances. 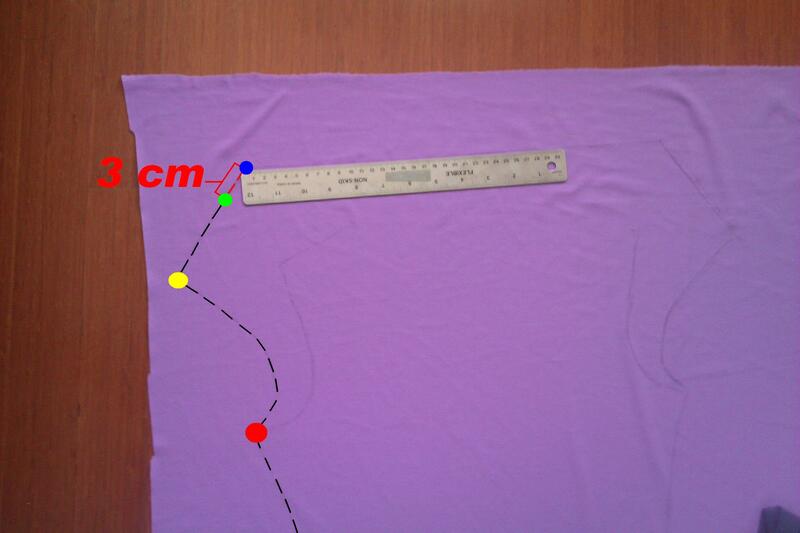 Measure the length of the neck opening for the back piece, and cut out a strip of fabric that has the same length, and 3 cm width (neck piece). This will be used later to finish off the neck opening for the back piece. 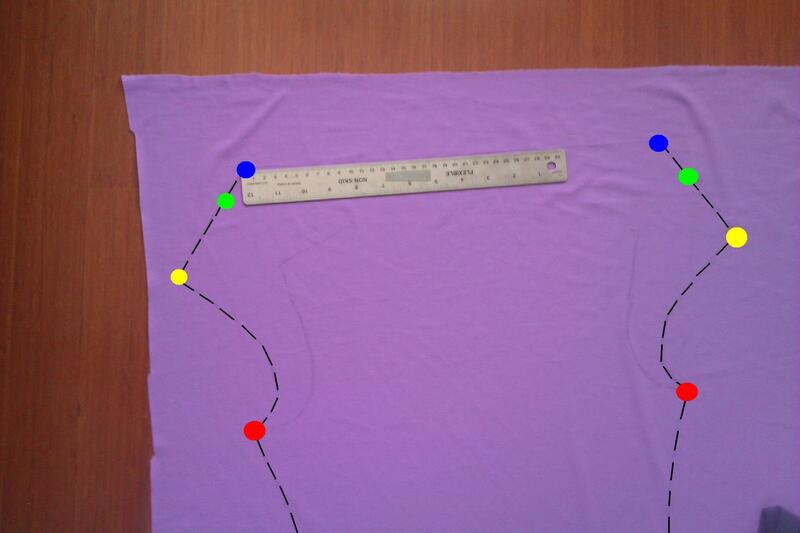 Trace the sleeves onto the fabric, draw seam allowances where there are seams, and cut out. Now the sewing. Sew the back piece with the neck piece at the neck line, with right sides facing. Turn the neck piece so that its wrong side is facing the wrong side of the back piece; tuck in the raw edge of the neck piece and top stitch. 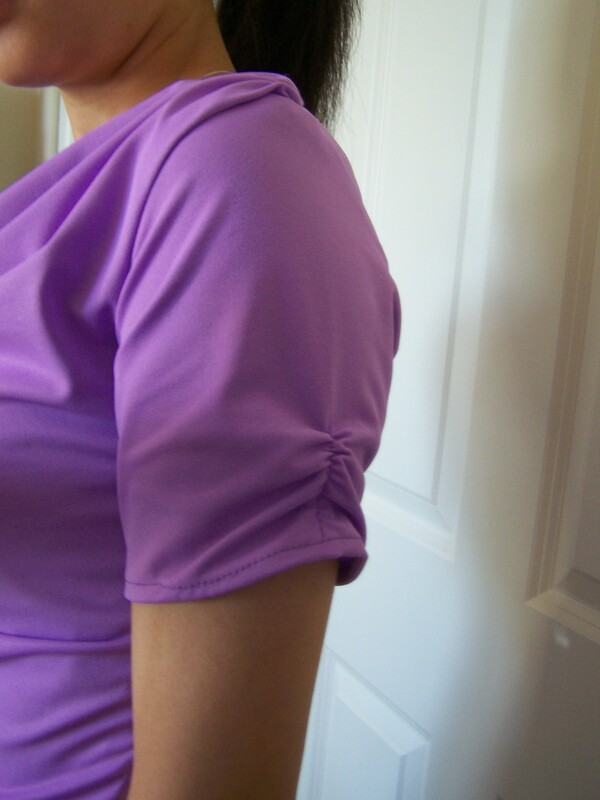 Encase a clear non-stretch ribbon into the edge of the back neck opening, if desired, to prevent stretching. 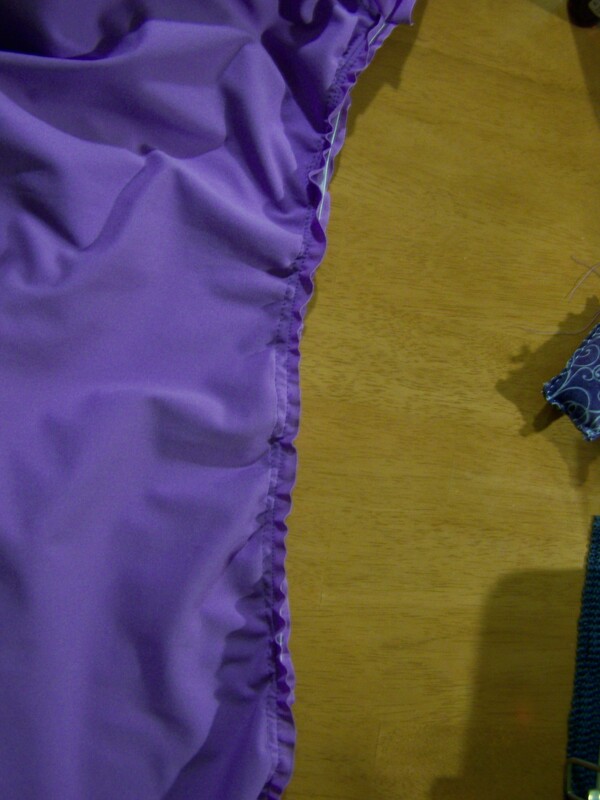 Using zigzag stitch or a Serger, sew along the curved arc of the front piece. 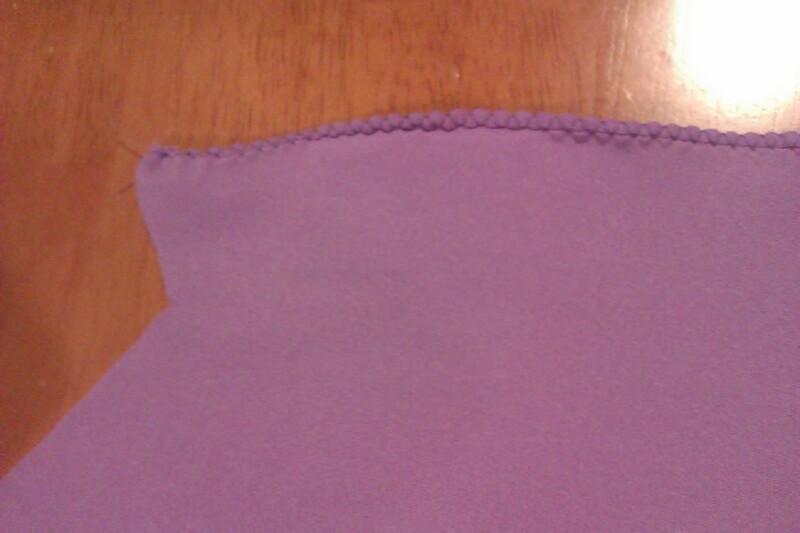 Tip: if you pull the stretch knit fabric while sewing, it will roll slightly at the edge; so even the zig-zag stitch gives it a nice finished edge. Gather the shoulder part of the front piece, so that it’s the same length as the shoulder part of the back piece. The right sides of the front at back pieces should be facing. 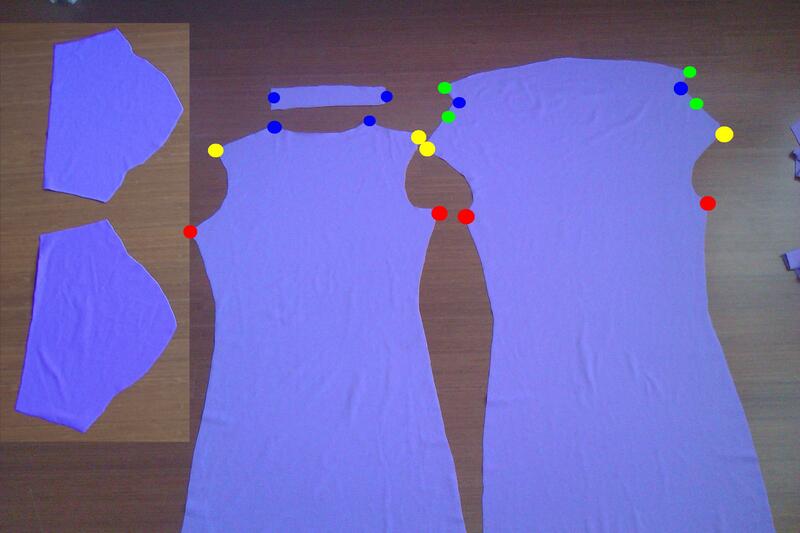 Fold the fabric at the front neckline (line of symmetry), so that the mirror image of the shoulder lines and the shoulder lines are aligned (green dots). Then sew at the shoulder line. 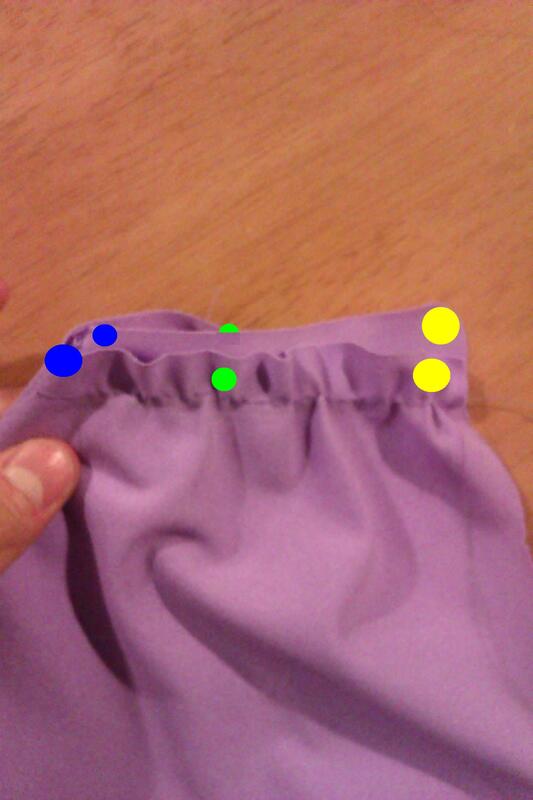 Also add bias tape with the shoulder seam if desired. 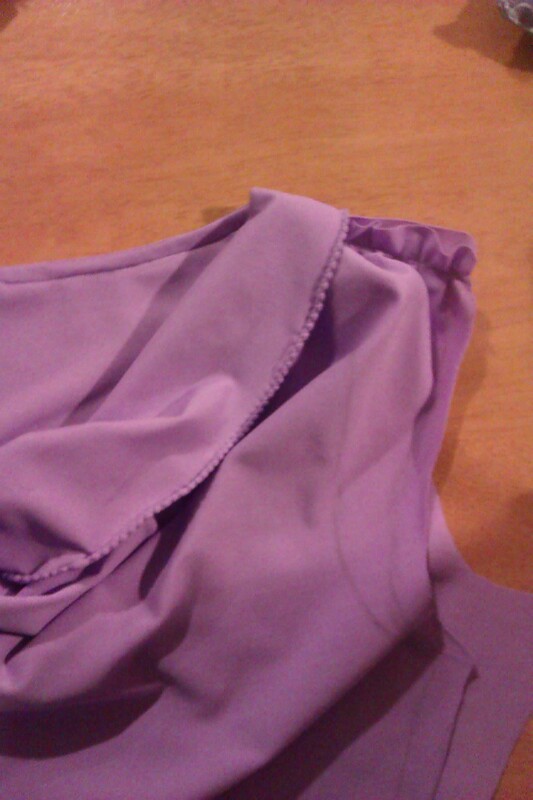 After sewing the shoulder seam, flip the hidden flap so that it is folded onto the front piece. This is how it should look like so far. 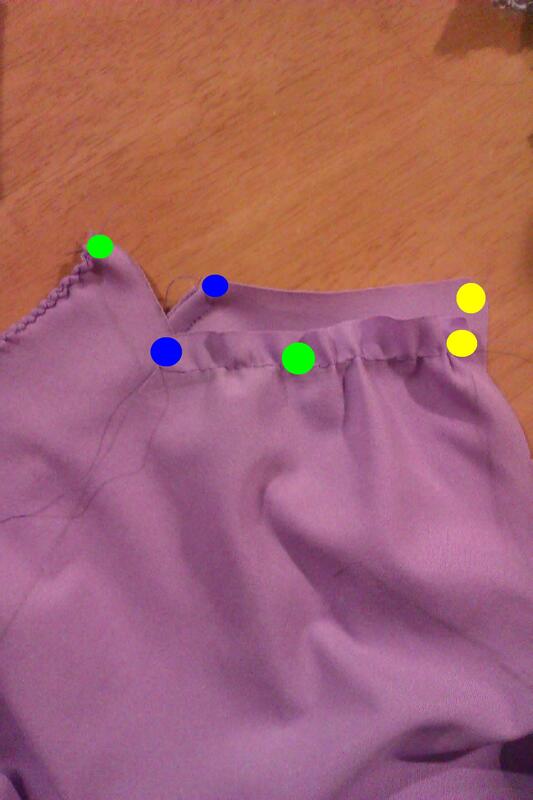 Sew the sleeve onto the armhole of the front + back pieces. 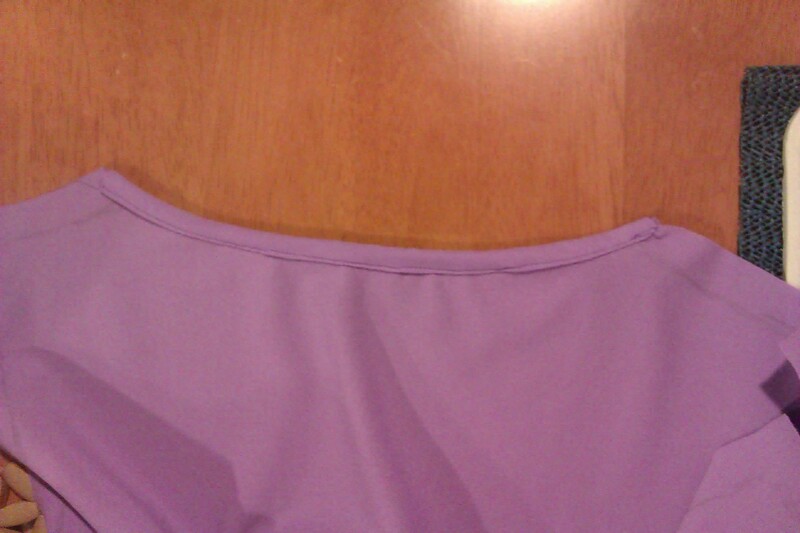 Sew the seam of the sleeve along wide the side seams of the torso. 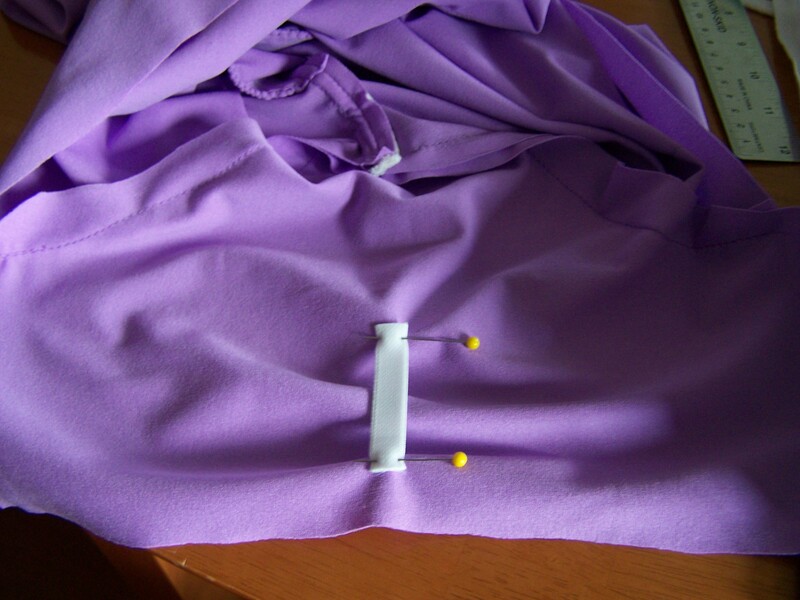 To add a bit of ruching to the side of the sleeves, pin 5 cm of elastic so that it spans 7-8 cm of fabric. Stretch the elastic when sewing. Hem the sleeve openings and the bottom hem. I love your three reasons for making this– I have the same desires, and I think I even have the perfect fabric for this. I love the rest of your blog too! As a beginning sewer, I somehow feel comfortable taking these on due to your clear explanations and photos! Thanks for taking the time to leave a comment Steph. Hope your dressmaking goes well! My pleasure =) Thanks for stopping by vivi! I so agree with Beverley! I, however, am an old, experienced sewer looking for a cowl neck pattern. I can tell you that I get as confused as Beverley by some of the instructions I have encountered in my web travels. It doesn’t matter how in/experienced you are – if they’re unclear, they’re unclear! I, too, was struck by the simple 1,2,3 approach of these instructions. I think it’s a gift you’ve either got or not ! I have some lovely viscose/polyester/spandex in black that would drape lovely with this pattern. I will send you a pic when I have finished! Thank you for your compliments Jill- I am humbled and blessed to be able to share my knowledge and explanations =) I would love to see a picture of your handiwork! where is the free pattern?! Oh, I love this, can’t wait to make one. I”ve bookmarked your link, thanks for the tutorial! You are very welcome =) Feel free to post a link here when you finish making yours! Realy great! Just what i’ve been searching for(a fitted top with cowl neckline).Tanx 4 ur timely help. I’m going to try it without fears. But, what if i dont wish to have gathers at the shoulder, can i just ignore adding 3cm to the shoulder without having bad effects? Thank you for visiting! 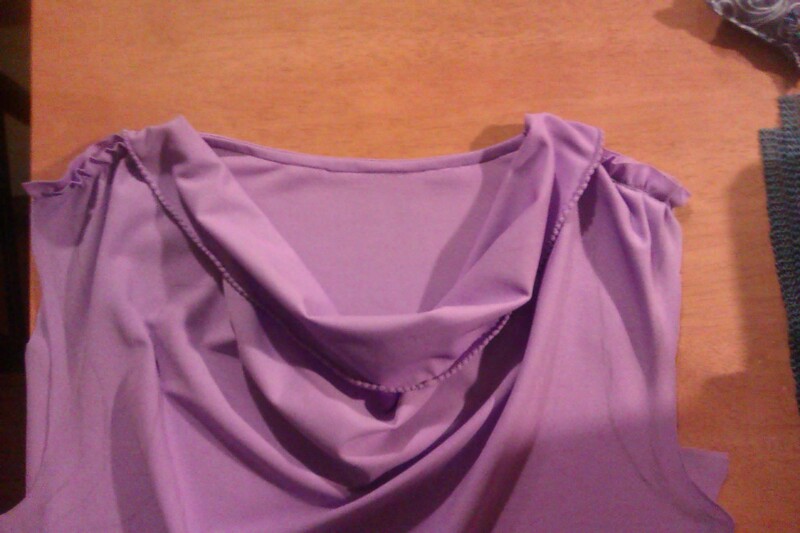 Adding 3 cm and gathers to the shoulder leads to more folds when the fabric drapes for the cowl neckline. So if you don’t add 3 cm to the shoulder, then there will be less folds for your cowl neckline. If you are okay with that, you can experiment with it =) Let me know if you have any other questions! Great to hear, thanks! Would love to see a link to photos of what you made! amazing!!! thank you sooo much this is something I’ve wanted to know how to do for a looong time! No problem – please let me know how it goes!